The search for this year's canoe-in site was concluded on April 10. Of the nine provincial parks with backcountry sites. 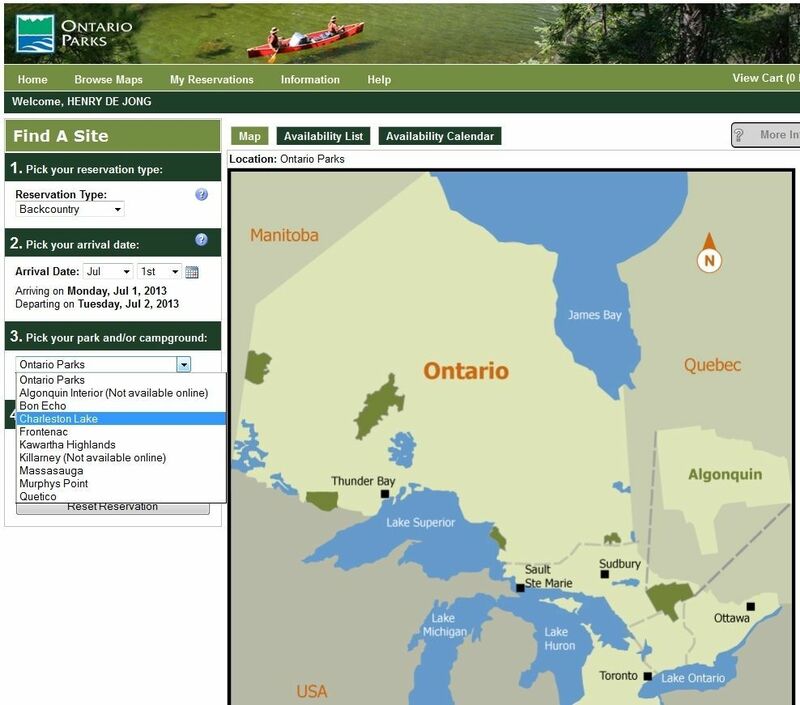 (shown in the drop-down under 3. in the screen shot), we've done only two (Algonquin and Kawartha Highlands).